Gocomma AQLCZZJ - ZSCM01 Mobile Phone Wireless Charging Holder for Cars - BLACK w cenie $17.99 | Chińskie kupony rabatowe, zniżki i okazje! 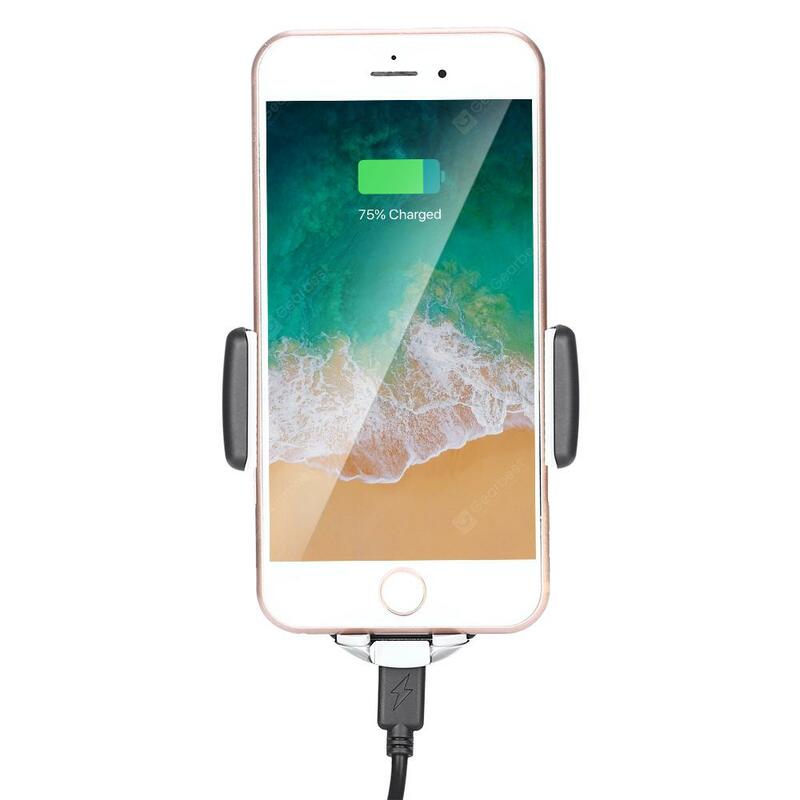 Więcej informacji o produkcie: This mobile phone wireless charging holder can quickly charge and safely hold most smartphones when you are driving, it supports 5W standard charging and 10W fast charging. The smart sensor ensures that after placing the phone on the car holder, it will automatically lock the phone in 2 seconds and start charging, allowing you to release your hands with the phone while driving. There are rubber pads and silicone pad to prevent falling off when you are driving on bumpy roads. When you need to drive long distances or use a mobile phone function such as a map while driving or don’t want to miss a call, this is the ideal product to solve the problem.